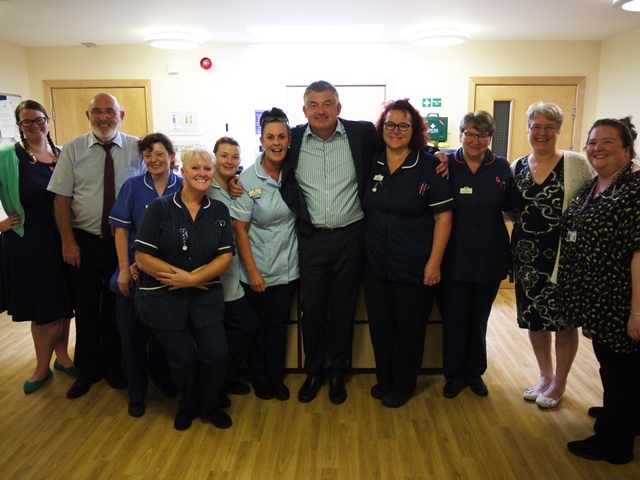 Former Snooker Champion, John Parrott, visited Woodlands Hospice on Tuesday 22nd August to visit its patients and staff and to present the proceeds of the John Parrott Golf Event he hosted for the charity earlier this year. During his visit, sportsman John, spent time visiting with some of the patients on the Hospice’s inpatient unit, with the most popular topics of discussion being Football as well as the wonderful selection of food served at the Hospice! John also met and spoke with the Doctors and Nursing staff on the ward and was delighted to discover that the 6-year old son of Health Care Assistant, Claire, is a big fan of his, stopping to get a photo for the proud mum to show her son when she went home. 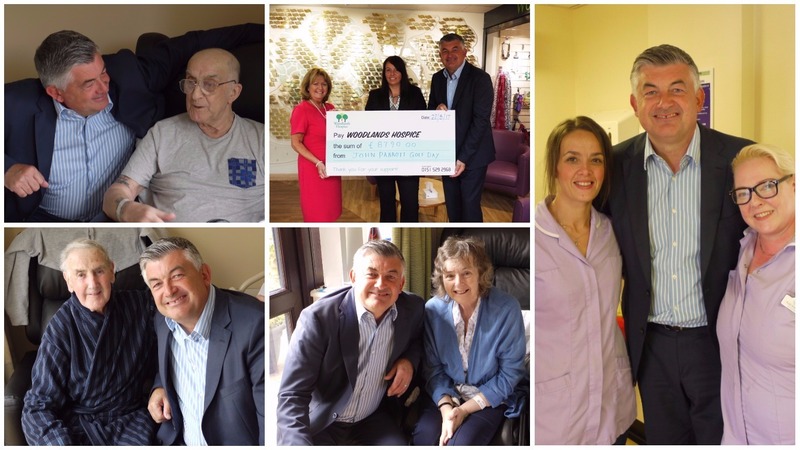 John, who has been a Patron of Woodlands Hospice for 14 years, also took the time during his visit to present a cheque to Events Manager, Pauline Cox and Individual Giving Manager, Carole Riley, for a total of £8,790.00. This was the total amount raised from this years’ annual John Parrot Golf Event that the former Question of Sport star hosts on behalf of the Hospice, which took place on 23rd June at West Derby Golf Club.